Traditionally Acupuncture has been in practice to practice the flow of life force or life energy, denoted as Qi. It is accomplished by inserting needles at specific points along the meridians through which the Qi flows to ensure energy flow gets re-balanced in the system. Western practitioners refer acupuncture points as places where vital nerves and muscles are present, and their stimulation boosts the natural healing mechanism of the body. Acupuncture has been in practice for thousands of years now and has its roots deeply planted in China. It helps not only to treat illness, but also to prevent disease and to enhance well-being; it is considered a very safe form of treatment that has helped cure millions of people. Cancer treatment side effects: acupuncture eases nausea that is common with chemotherapy, enhances immune response and decreases pain. Headache: decreases the frequency and severity of headaches, such as migraines and tension headaches. 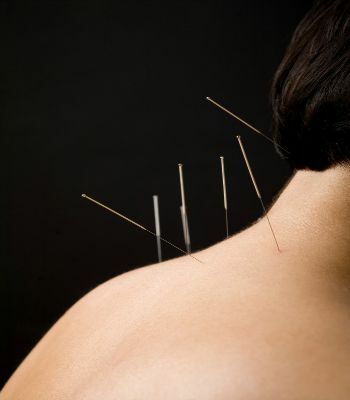 Back pain and neck pain: acupuncture is helpful to relieve chronic problems with spinal cord. Reproductive health: acupuncture for fertility is the most widely sorted treatment option all over the world, it helps to address pre-menstrual syndrome and helps in alleviating adverse effects of menopause. Chronic fatigue: constant fatigue, reduced stamina, exhaustion and a variety of flu like symptoms are dealt efficiently with acupuncture, as it helps in stimulating the underlying affected organs from their depleted states. Asthma: acupuncture has been quite effective in treating all problems of the respiratory system including Asthma. Acupuncture for weight loss: increased BMR is the foremost reason for a number of metabolic problems, acupuncture technique deals with this efficiently and helps people maintain their weight. Tong Han Chun Herbs Acupuncture Sport Injury Centre, headed by Doctor Hu, is a comprehensive wellness center, with its services dedicated specifically for the betterment of mankind and follows professional and traditional treatment methodologies. He has specialised in Chinese acupuncture and is been recognized for its result-based practice. He incorporates one on one personal commitment with all of its clients and bestows keen intuition and deep caring for each of his patients and approaches them holistically for their health and well-being.